The Cultural Heritage and Education Institutes mission is threefold- to Share, Educate and Restore; share Athabascan cultural knowledge and skills, educate youth and adults on how to be sober productive participants in native Athabascan and non-native western cultures and restore the spiritual site of Old Minto and the history of a past village. In pursuing this mission, CHEI's programs have given people the world over awareness of the Athabascan "ways of knowing". They have instilled pride in community children and given them tools to overcome the crippling presence and lure of substance abuse. These programs have also helped bring the Minto community together into a more cohesive unit, empowering the youth with abilities and confidence, and enabling all to be more capable of coping with the diversity between native and non-native value systems. Old Minto is located 30 miles down the Tanana river from Nenana, Alaska and was originally settled in 1912 by a group of Athabascan Indians, from the Minto Flats area led by Chief Charlie. In 1971, due to a variety of problems, the village was relocated about 25 miles north of its original location to a new site on the Tolovana river. While Old Minto is only accessible by boat, New Minto can also be reached by the Elliot Highway, weather permitting. New Minto has more modern conveniences but the residents of the village still retain a strong emotional and spiritual attachment to the Old Minto site. Buildings such as the Episcopal church and the community hall fell into disrepair after the move. Robert Charlie, who was born and raised in Old Minto, saw this deterioration and acted to begin preserving Old Minto as a traditional, historical Athabascan village. "In saving Old Minto, I wanted to preserve Athabascan cultural values and educate the general public." 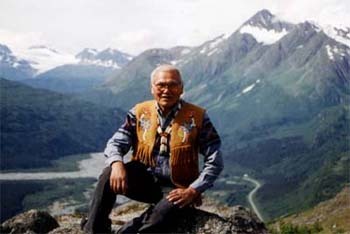 In 1984, Robert Charlie founded the Cultural Heritage and Education Institute. CHEI was incorporated as a non-profit 501(C)(3) organization devoted to restoring Old Minto, educating people about the Athabascan "ways of knowing" and promoting sobriety through substance abuse prevention programs for the youth and adults in Minto. Robert Charlie continues to act as Executive Director of CHEI, implementing new programs and enhancing existing ones for the people of Minto. He still regularly participates in camp and community events and serves as a role model for many youths in Minto. Robert sits on the Boreal Forest Council, and is a board member of Fairbanks Family Service. He is also a composer who writes, sings, and plays his guitar as much as possible.